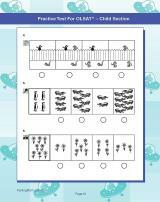 This workbook is designed for Pre-K to Kindergarten students (Kindergarten and First Grade Entry). Increase your child’s chances of getting a coveted seat in a citywide or district-wide New York City Gifted and Talented Program! 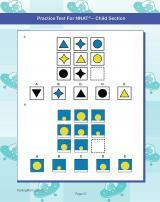 For children entering into Kindergarten or 1st Grade taking the NNAT®-2 and 3 and OLSAT®. Overview of the NYC gifted and talented admissions process. How to effectively administer the practice tests to simulate the actual test environment. Skills required from your child. Test taking tips for your child along with increasing “test stamina”. Working with your child to become his or her “favorite teacher”. 800 phone number and email provided for support with your questions. 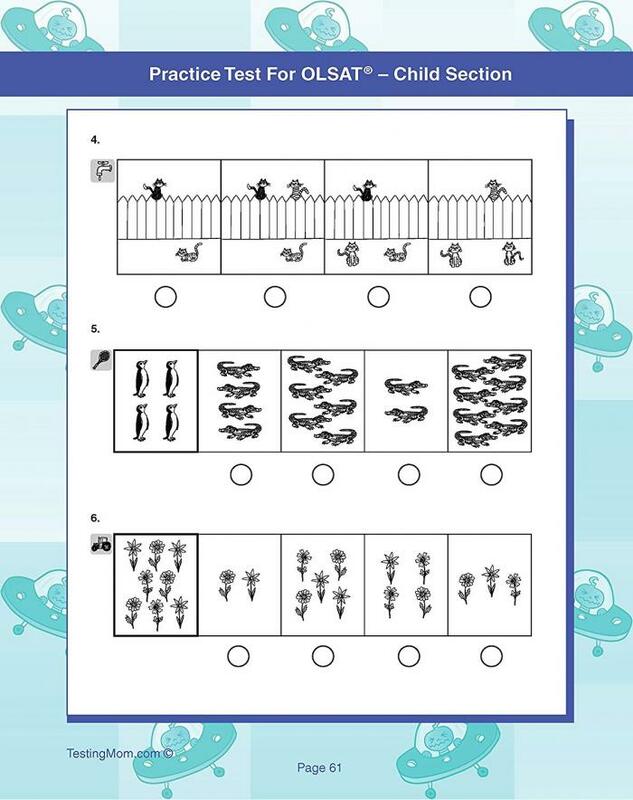 This workbook features kid-friendly characters and brightly colored artwork to keep your child engaged and interested! Ensure your child has sufficient experience in answering gifted test questions for the OLSAT® and NNAT®-2 and 3. 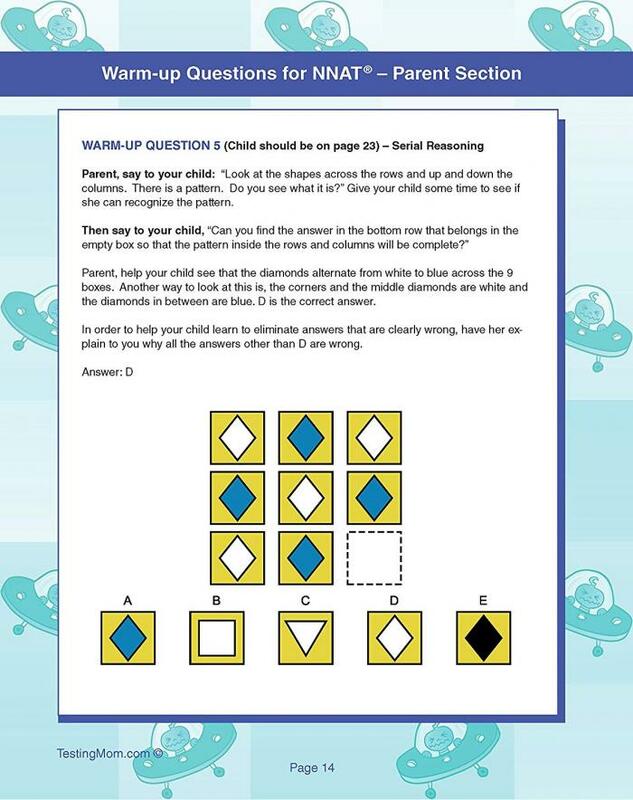 Get even more practice online with interactive questions at the Testing Mom web site. 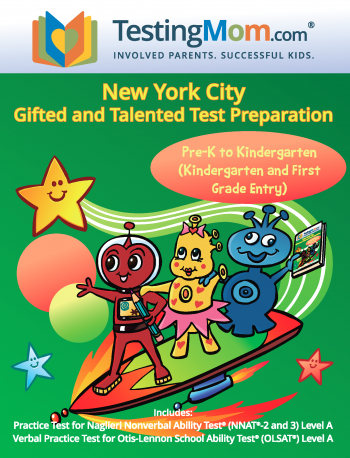 Use this sample tests to give your child a similar experience to the actual NYC G&T test – you’ll be able to identify your child’s strengths and weaknesses and can work on skills needed before the actual gifted and talented test for New York City. Testing Mom has helped thousands of kids prepare for the OLSAT® and NNAT®-2 and 3. 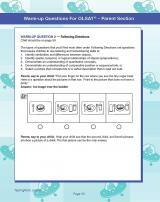 We know the test-taking techniques that work and how to avoid the most common gifted testing mistakes – it’s all spelled out in this workbook! Your Child Will Be Confident on Test Day! 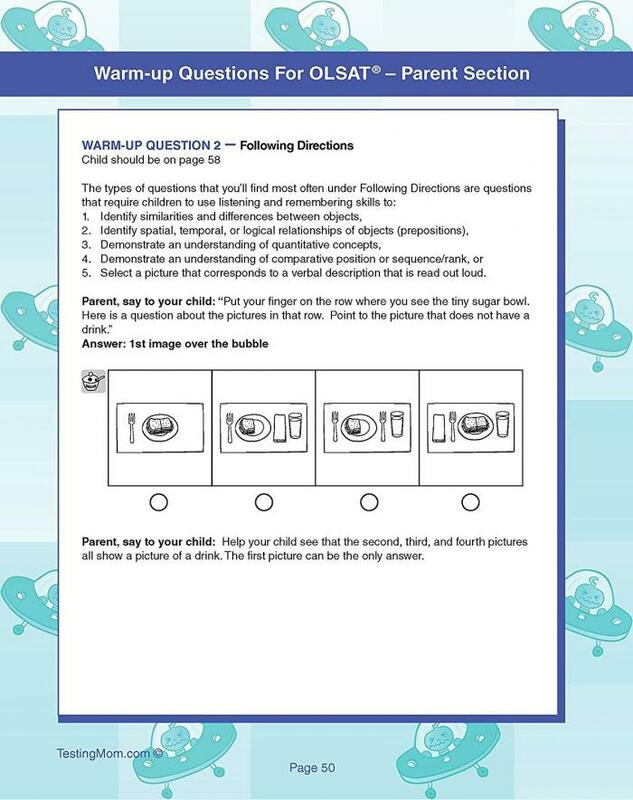 By having practiced the different types of questions that appear on the OLSAT® and NNAT®-2 and 3, your child won’t be thrown off when asked to solve a question for the very first time in a situation where results really matter. Help your child dream big and take the first steps on this exciting educational journey and achieve their dreams. YOU are your child’s best teacher, and this book is here to help! 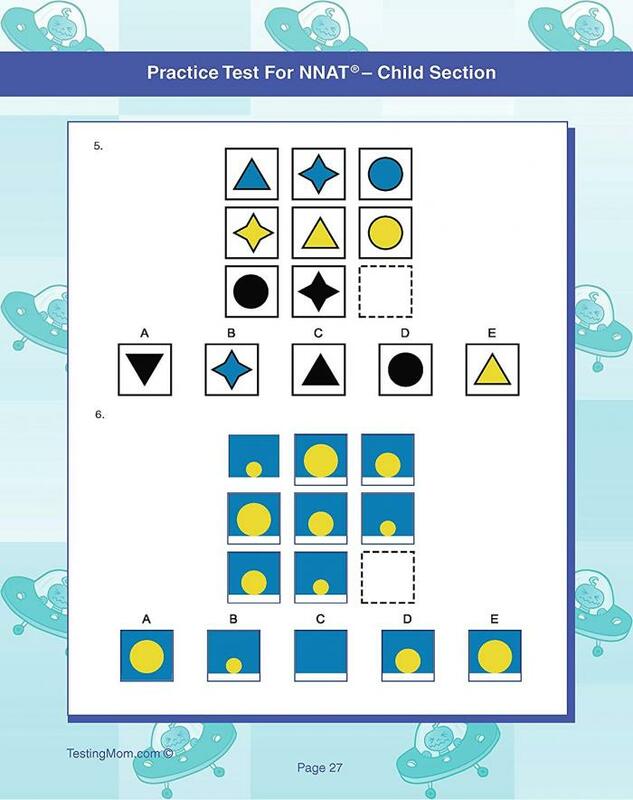 Naglieri Nonverbal Ability Test® – Second and Third Editions (NNAT®-2 and 3) and OLSAT® – Otis-Lennon School Ability Test®, Eighth Edition® are registered trademarks of Pearson Education, Inc or its affiliate(s), or their licensors. TestingMom.com is not affiliated with nor related to Pearson Education, Inc or its affiliates (“Pearson”).